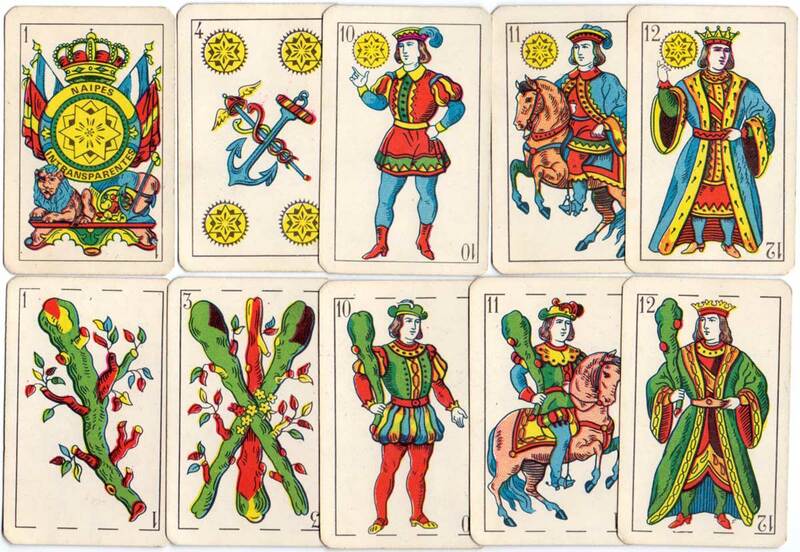 Standard Catalan-type deck, titled "El Mexicano", by an anonymous Argentinean manufacturer, c.1980s, based on the designs of Guarro (Barcelona). 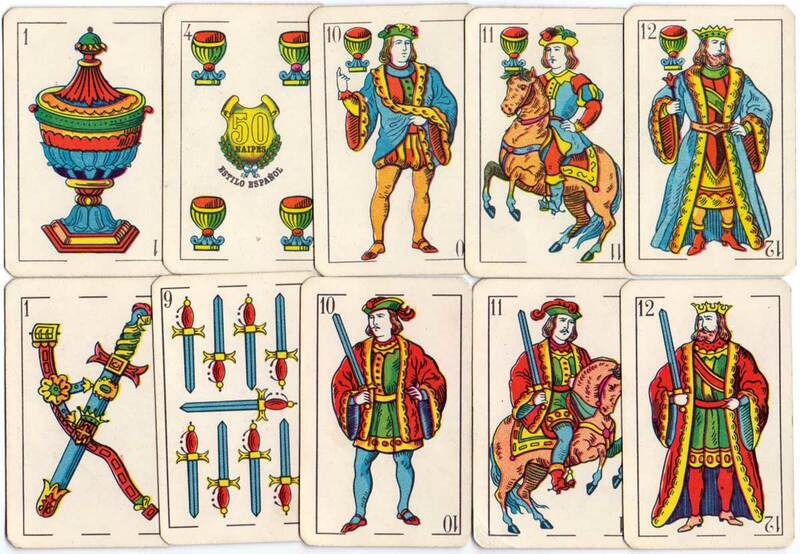 The Argentinean flag has been prominently added to the ace of coins and the box is colourfully decorated with Spanish suit symbols and a mexican sombrero, and has the inscription "Industria Argentina" on the edge. 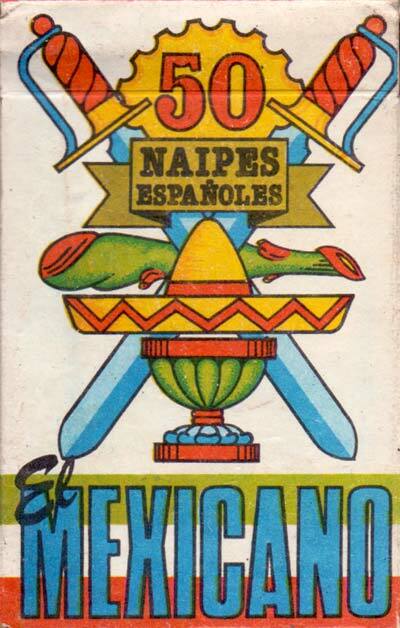 Above: Naipes Españoles "El Mexicano" made by an anonymous Argentinean manufacturer, c.1980s. 48 cards + 2 Jokers in box. The eight of cups has a printing error on the index sign.